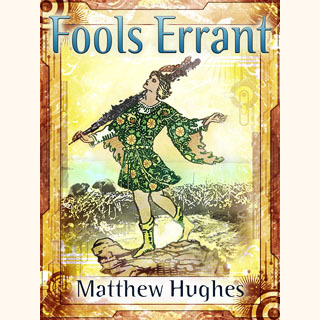 Wise, witty and just a little weird, Fools Errant wryly strolls the satirical path laid down by Douglas Adams, Terry Pratchett and Jack Vance, heralding the brilliant debut of a gifted new voice. Foppish young Filidor Vesh wants only to dally among his shallow pastimes. But a simple errand for his uncle, the vaguely all-powerful Archon of those parts of Old Earth still populated by human beings, becomes a frenetic odyssey across a planet speckled with eccentric nations pursuing odd aims with intense determination. Harried at every step by the irascible dwarf, Gaskarth, and frequently at the peril of wild beasts, enraged mobs and a particularly nasty thaumaturge, Filidor makes a reluctant progress toward a final encounter with an ancient and possibly world-ending evil. 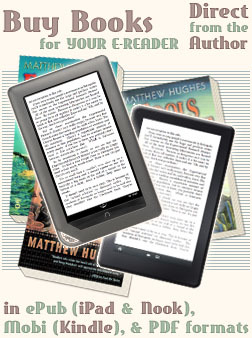 You can read an excerpt from Fools Errant here.